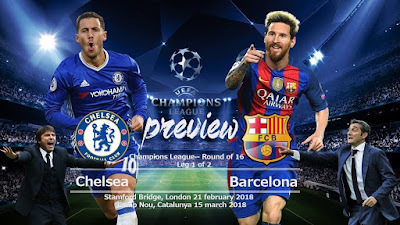 Chelsea faces Barcelona in the last-16 of the competition of Champions League on Tuesday at Stamford Bridge. Barcelona enter the clash as they are flying high at the top of La Liga and, of course, have the magic of Lionel Messi, the club is seven points clear of second-place Atletico Madrid at the top of the table. Both sides last met in the Champions League in 2012, when Chelsea upset Barcelona in the semifinals en route to the title. Chelsea line-up : Courtois, Rudiger, Alonso, Moses, Christensen, Azpilicueta, Fabregas, Kante, Pedro, Willian, Eden Hazard. Barcelona line-up : Ter Stegen, Sergi Roberto, Pique, Umtiti, Alba, Busquets, Rakitic, Paulinho, Iniesta, Messi, Suarez. 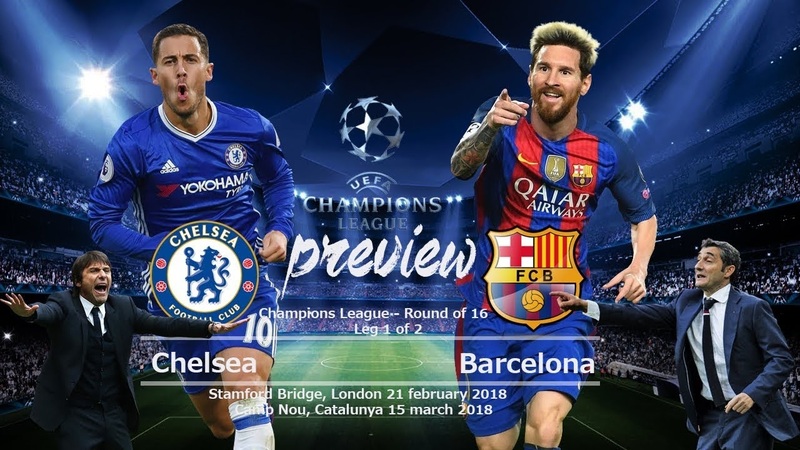 No Comment to " Chelsea vs. Barcelona live stream info "